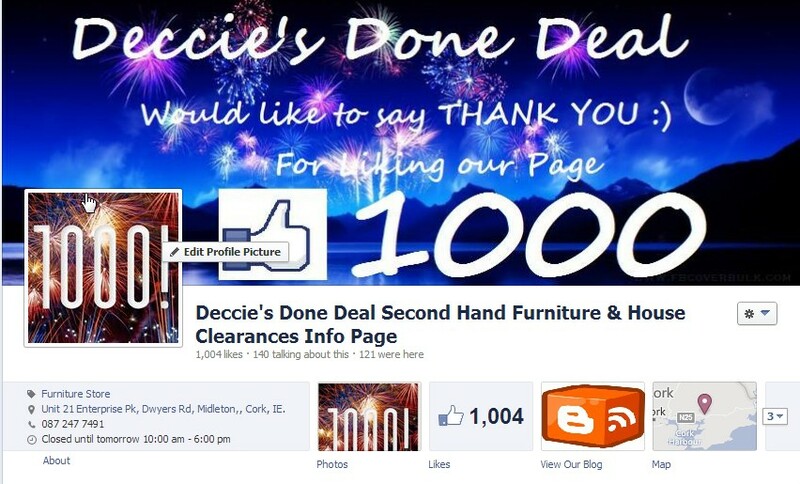 Deccie's Done Deal Second Hand Furniture & House Clearances : Check out all our new stock, Belling Cooker, Fridge, Washing Machine, Mirror, Nest of Tables, Pine Table + 6 Chairs, Fire Place, Bathroom Sink and more!!!!! Check out all our new stock, Belling Cooker, Fridge, Washing Machine, Mirror, Nest of Tables, Pine Table + 6 Chairs, Fire Place, Bathroom Sink and more!!!! !